Spelle, December 2016: Despite a significant downturn especially in the farm machinery industry and despite less than ideal conditions in the utility vehicle sector, the Krone Group has continued its positive growth trajectory. Although markets remained difficult, the Krone Group generated sales of around 1.8 billion euros in the fiscal year 2015/2016, a result that once again exceeds the previous year’s result (1.6 billion euros). Commercial trailer sales increased slightly over the previous year to 1.2 billion euros, generating 362.8 million euros in the home market (previously 328.0 million euros), which translates into an increase of 10.6%. The home market continues to be the most important individual market for this business segment and contributed 29.8% to the overall sales revenues. In foreign markets, Krone was able to increase its sales to 855.0 million euros (previous 755.9 million euros). Sales in Western Europe accounted for 41.0% of overall earnings while Eastern European markets contributed 26.6% (previous 21.4%). Agricultural machinery sales, too, slightly increased again to 568.6 million euros in 2015/2016 (from 554.5 million euros in the previous year). 24.9% of these sales were generated in Germany (27.9% in the previous year), while Western European markets contributed 32.5% (previously 32.2%), North America an unchanged 20.5%, Eastern Europe 10.7% (previously 11.3%) and the rest of world 11.4% (previously 8.1%). 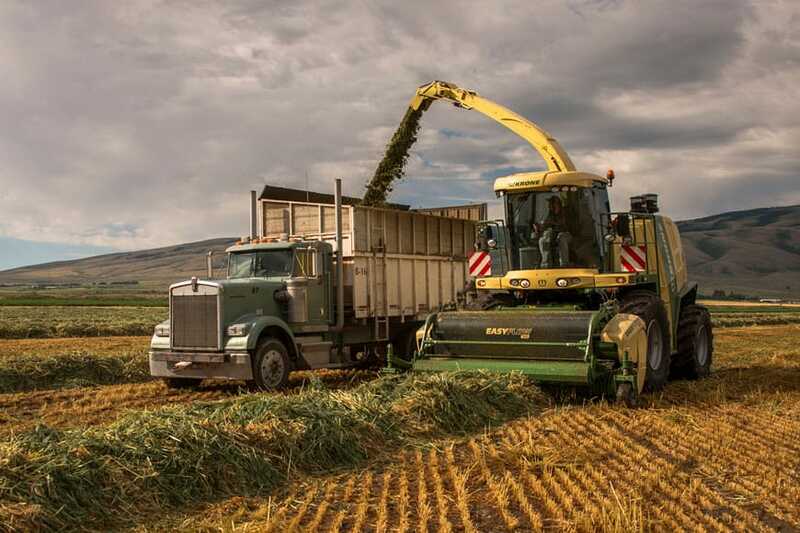 The largest share was accounted for by the BiG line products – the self-propelled BiG X forage harvesters, the self-propelled and high-capacity BiG M mower and the Krone big baler and round baler models. The annual surplus leads to an increase of the Group’s equity capital which rose by 47.8 million euros to 445.3 million euros (previous 388.5 million euros). The equity ratio increased to 47.8% from previously 45.9% despite a higher balance sheet total. The Group currently has 700.6 million euros (previously 672.4 million euros) available in the form of medium and long-term capital. This covers both fixed assets and the entire stock assets as well as many receivables. Group sales within Germany were 504.5 million euros, reflecting a 4.6% increase over the previous year. Some 28.1% of Krone’s domestic sales were generated by the Agricultural Machinery division and around 71.9% by the Commercial Vehicle group. In total, the Krone Group recorded 28.2% of its sales in Germany (previous year: 29.4%). At 71.8%, sales outside Germany were up slightly on the previous year (70.6%), rising by 126.2 million euros to 1.28 billion euros, which represents a 10.9% increase over the same period of the previous year. 33.3% of the Group’s sales outside Germany were generated by agricultural machinery and 66.7% by trailers. We at Krone continue to regard customer proximity as paramount. For example, Krone’s Agricultural Machinery division set up no fewer than two new subsidiaries in 2016 – one in France and one in China. Also, the decision to move our American headquarters from Memphis (Tennessee) to Shelbyville (Indiana) in the coming years was driven by this philosophy. On the trailer side, Krone opened a new Center in Turkey and is planning to set up new Krone Centers in France and in the Netherlands. Furthermore, we opened the new Krone Used Center in Werlte, Germany, which markets used trailers. As part of the merger of the commercial trailers division with Brüggen, Krone also announced a significant investment package to modernize and digitize the trailer production sites. About 50 million euros are earmarked for investment in the Werlte production site alone. This lays the groundwork for further sustainable and profitable growth on an international scale and in an increasingly competitive marketplace. “The milk price crisis and the consequences of the Russian-Ukrainian conflict had a significant impact on the performance of all our business segments,” says Managing Partner Bernard Krone and continues: “In this difficult context, it is an even greater achievement that we were able to increase our sales revenues.” In his view, this success is based on the high quality of the Krone products and the extraordinary innovative strength of the company. “Besides, our customers appreciate our philosophy, which has characterized the life of this family-owned company for 110 years. The values expounded in 1906 by our founder and my great grandfather, Master Blacksmith Bernhard Krone, still apply today: diligence, honesty, customer proximity and common sense,” continues Bernard Krone who paints a positive picture of the company’s future. “Even though we may be anticipating a slight decline in sales for the agricultural machinery business during the current financial year, we are basically confident about the future, because two megatrends of our time – the growth in world population and a globalized economy – are leading to an increased demand for foodstuffs and for freight transport. These factors are bound to have a positive long-term impact on the growth of the Krone Group.